Soen come back to the prog fold doubling down on a sound they have curated for years. Lotus does a lot to expand their horizons, but does tend to play it safe as well. Soen has been around long enough now that people know what to expect from them, I believe. They have really hit a stride with their last couple albums that shows them falling into a really comfortable groove. The progressive metal supergroup is known for soaring clean vocals, heavy and melodic instruments, and a striking similarity to Tool. 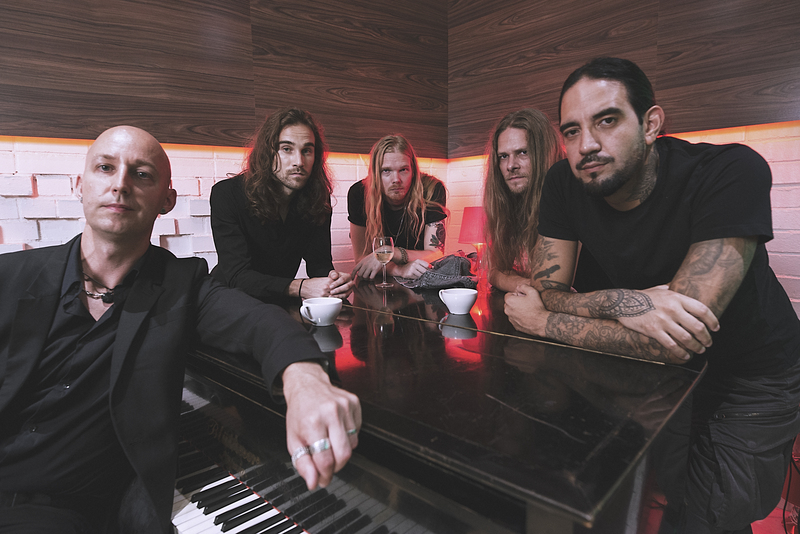 Soen has been very candid about that connection and said they are definitely inspired by the prog masterminds, and even ‘consider them not only a band, but a genre.’ Lotus explores landscapes they have yet to enter, and I feel this album in particular is really unique for them, even if it does feel like something they’ve already done in other moments. This could be the album that separates them from ‘That metal band that sounds kind of like Tool‘. I’m definitely not saying they have left the Tool influence completely behind. I’m almost certain you could show an unknowing person a Soen track and convince them it was a new Tool single. If you picked that track from Lotus, however, you’d have to speculate for a moment on which track bears the most resemblance, because they have definitely ventured further than before here. I found myself more impressed the deeper into the album I got with it. Almost every track seems to bring something a little bit different to the table than the last. “Lascivious” has a really soulful little guitar solo and a lot of synth influence, which is expanded upon in the following track “Martyrs”. Even while hitting new strides, they still hit a lot of the same notes they have for years. Lotus leaves me caught at a crossroad with how I really feel about it. There are parts of it that I really love, but there are also parts that drive me crazy. This album begins almost exactly how Lykaia began. The intro riff to “Opponent” sounds almost identical to that of “Sectarian”. As soon as I heard that, I dreaded the rest of the album. I’m glad the rest of it proved to be worth the listen, but moments like this through the album really take away from some of the highlights. This review would be almost criminal if I didn’t shine the spotlight “Lunacy”, the eight minute long closer to Lotus. It’s my favorite song on the album. It might be my favorite song from Soen to date. It is the band firing on all cylinders in a really nice way, and is one of the fresh moments I mentioned before. It’s heavy, it’s melodic, and even has an ambient post rock moment that lasts for a couple minutes. That part really threw me for a loop. I totally was not expecting something like that; and the way it ends the song and album was a really nice touch. Lotus is a good album. I don’t want anyone to read this review and feel the sentiment is otherwise. But it could be much more if Soen left their comfort zone just a bit more, and didn’t recycle really similar riffs at times. If you were a fan of their previous work, it is definitely an album for you. And if you were not a fan of their previous work, it is possible there are moments of this album that could captivate you still. But if you, like myself, were looking for something a bit different, you may leave at the end of the album with a bit of disappointment. Next PostJolin Tsai - "Ugly Beauty"